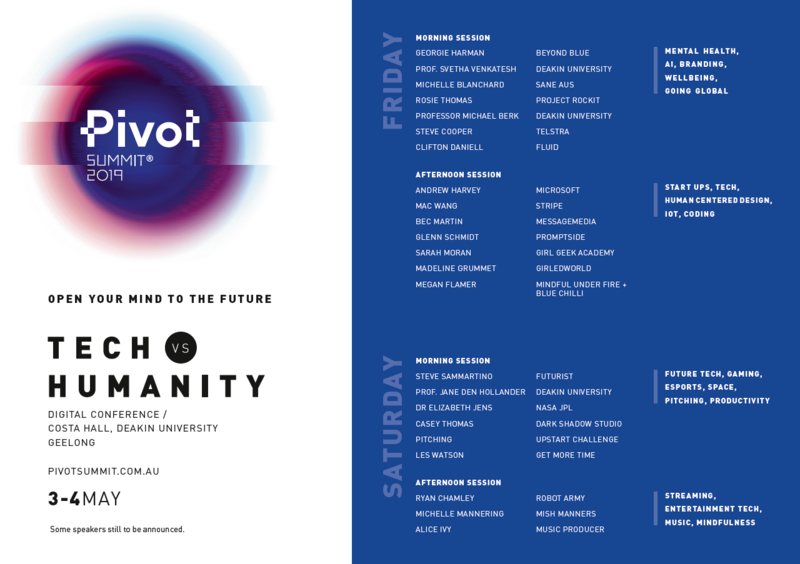 Pivot Summit® 2019 | Regional Australia’s biggest business, entrepreneurship and tech conference, held over two massive days in Geelong, Australia. Regional Australia’s biggest business, entrepreneurship and tech conference, held over two massive days in Geelong, Australia. In 2019, our blind love for technology has often been overshadowed by debate about its potential dangers. Payment is not possible because this website is not configured correctly.